The Gay Gamer: Does a game have to be challenging to be enjoyable? Does a game have to be challenging to be enjoyable? Someone over on NeoGAF posed the question above a few days ago in response to the release of Kirby's Epic Yarn (below), which is, according to a number of folks who have played it thus far, a completely charming but not altogether challenging game. My first reply to said question was an emphatic "no." After all, some of my favorite games of the last few years have been (basically) challenge-free affairs--games like Animal Crossing: City Folk and Endless Ocean, for instance. I had to revise that riposte, though, after I remembered my unenthusiastic reaction to playing Super Princess Peach a few years ago. Sure, the game's graphics and tunes were enjoyable enough, but the rest of it was a bore due to its overly accessible (i.e., "so easy a newborn baby could beat it") nature. Anyway, those are my (barely considered) thoughts on the matter. What are yours? I think I agree. Sometimes its good to have a challenge, though it isn't always necessary. Depends on the game I suppose. Those Mario Party games aren't challenging at all but can be fun (at least in multiplayer). Exed Exes on the Famicom isn't too challenging either but I kind of like it! Perhaps those are more the exceptions rather than the rule though! Yeah, I really think it depends on the game -- and on the genre, in many cases. Some games/genres just aren't fun or engaging if they aren't also (at least somewhat) challenging -- at least in my opinion. Well, it seems we all agree :) It would be interesting if we all picked up Kirby's Epic Yarn and *then* shared our thoughts. Would we all agree -- or disagree? I like it when a debate leads to consensus! Lacking a Wii I won't be picking up Kirby's Epic Yarn, so I'll just agree with whatever conclusions you all reach! I think it's the games mechanic that drives if it needs to be challenging or not. SPP was a game that more or less rehashed things done in games before. 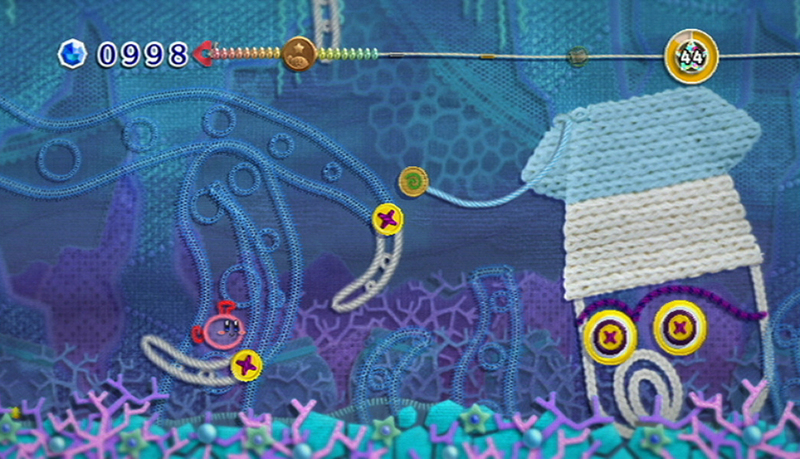 However in Kirby it's all about the "yarn gimmick" of changing the scenery to allow for secrets and power-up/gems. It fits in what a Kirby is usually about. Endless Ocean is all about deep sea exploration and the journey more than the end, same with Kirby. Games like that don't or even shouldn't be a challenge as the journey won't be completed and would be wasted. Another bit that can add to the challenge is the secrets part too. Kirby, EO and even Zelda are fairly easy, but have a few sidequests and secrets that might not be as transparent. Yes, I agree with you 100%, Maverynthia! It depends on the game -- or, rather, the game's main mechanic. BTW, have you played it?